Come join our Facebook Fan Page....My friend and I made the flag earlier this year in March back in Amsterdam. It's debut was at the Luminosity Before the Energy Party. 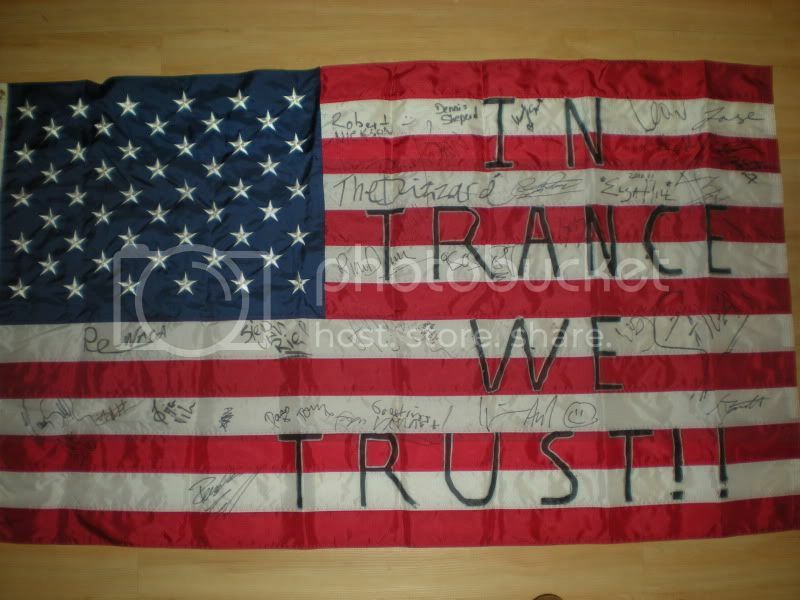 From there it has attended various events from which we've gathered over 20 DJs Signatures The flag will be returning back to Amsterdam for ADE this month.